Well I can safely say autumn has hit! Yesterday was nice and warm and waking up this morning to a miserable cold and wet day? I hate it when it rains; I never know what to wear. It’s the 21 questions in the morning. Is it too cold for a coat? What shoes are good in the rain? What about my hair? Eurgh! I don’t mind the cold it’s just the rain I could do without! But living up north that’s not an option. Anyway let’s get back on track, for today’s post I’ve decided to do “Flawless Face? Yes Please”. I always see youtubers and bloggers with perfect looking makeup and wish I could be like that. I’ve struggled for so long finding products that work for me, finding a good skincare routine and having that flawless look. So here is how I have finally found and got the flawless look. If you have read my blog previously you will know that I do have oily skin and have the odd breakout. I’m quite lucky as I don’t get a lot of breakouts its now and again. So to find the perfect skincare products for you, recognise what skin type you have and start from there. For me because I have oily skin I look for products that are oil free. I use the clean and clear moisturizer every night before bed and every morning and it has helped my skin massively. Also find a good makeup remover! I use the Garnier Micellar Water; it feels my skin feeling so smooth. I know not everyone likes to use a primer as some people may not need it, but I find since using one has helped my makeup so much. I never used to bother with one as I didn’t see the point. I have tried many primers. Some of which failed! Once you have found a primer for you it will help your makeup last longer. Again if you have oily skin, look for ones that don’t have oil in them. There are two ways to use a concealer. Firstly for your under eye circles and secondly for blemishes/breakouts. I use different concealers for each thing. I do tend to struggle with dark circles which are from lack of sleep. I’m really struggling to sleep at the moment so I need something with good coverage! People apply concealer in different ways. I like to apply mine before a foundation as I just find it blends better with my skin. 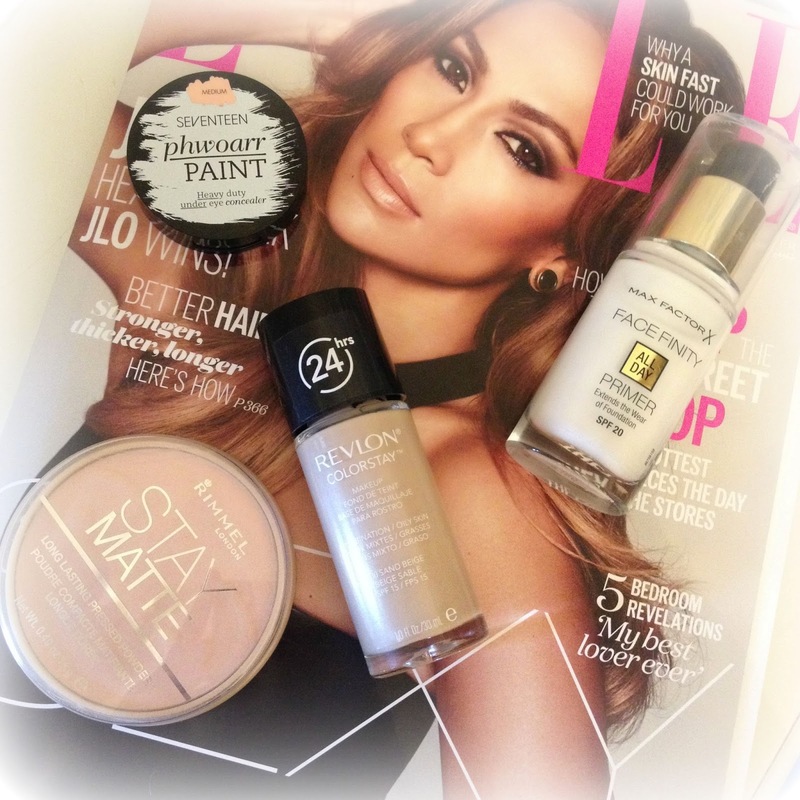 So many people struggle finding foundations right for them. Everyone has different skin types so one that someone might rave about may be your worst nightmare. Again as I mentioned in the skincare routine for oily skin look for oil free foundations or ones they give the matte effect. At the moment I have about 3 foundations I love for oily skin which are: Rimmel Stay Matte, Seventeen Flawless Finish and my newest edition Revlon Colorstay. This is all down to test and try. If you don’t like then don’t buy again. I always read reviews before I go and buy a foundation. I always like to set my makeup with a powder just to stop that shiny look. I have tried so many powders and finally found some that work for me. I don’t like powders that have the effect to make you look like a glitter ball! I like mine to be matte and always go for a transparent powder. I haven’t been using a setting spray for long, its only over the past year or so. My favourite is Urban Decays De Slick Spray which is specifically for oily skin types. I know Urban Decay also do another setting spray for other skin types. It does say you can apply this before and after makeup. I usually only spray it over once iv finished my makeup as I use a primer for underneath. I have found it does hold my makeup in place and I never go patchy! Makeup brushes are essential in getting that flawless look. If I’m honest when I first started using makeup I never used to use a brush for my foundation I used to just use my fingers! Fail I know I know. I use a brush to blend in my concealer, a foundation brush (I do own two different ones but it depends on which foundation I use for which brush), Powder brush and blush brush. I don’t want to pay £30 for one brush! 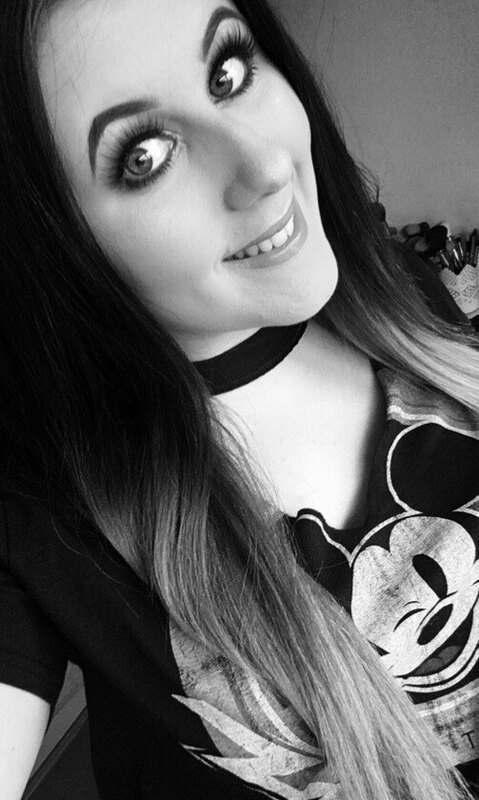 I have a range from Elf, Mua, Real Techniques and some cheap ones which I mix up now and again. I will do a favourites Makeup Brush post soon. My skin is pretty clear, I sometimes get the odd break out with hormones but otherwise it is clear with only slightly blemishing on my chin but I do like a full coverage base. I think I like how flawless it can make your skin look. When I saw the Rimmel Stay Matte Foundation that offered to be full coverage whilst controlling shine I purchased it straight away. It comes in 6 shades which isn't alot and they are more catered for pale to medium skin tones nothing for darker skin tones. The shades range from Porcelain to Natural Beige. 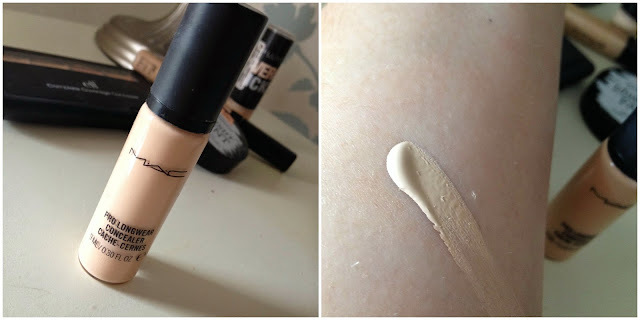 When I first squeezed the tube I was surprised at how thick the foundation is, it is very mousse like which shocked me as the packaging says it is a lightweight foundation. I make sure I have moisturised well and primed before using such a thick foundation. I have applied this with both brush and beauty blender and find both work well. If you want full coverage that is lightweight I would suggest applying it with a damp beauty blender as it will stop the foundation looking cakey or dry. When I applied it with a brush it did feel heavier on the skin but still left a flawless full coverage. I do prefer using a damp beauty blender as it makes the foundation lighter but still with good coverage. I do sometimes add a small amount on any break outs if I have them just to make sure they are fully covered. You do have to blend it well otherwise it can look a little patchy. 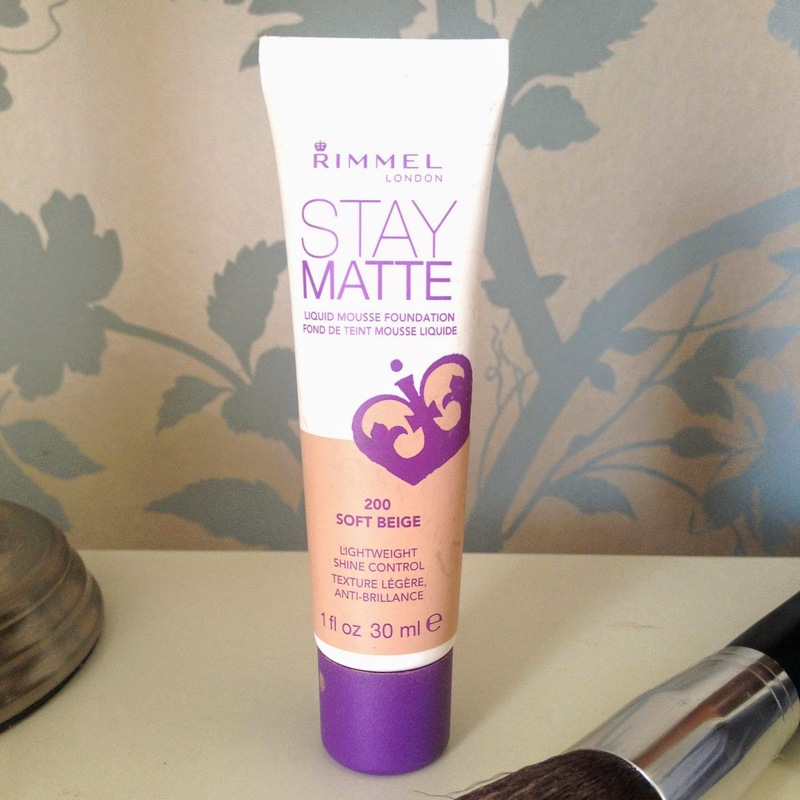 I set with powder usually the Rimmel Stay Matte Powder as it is very finely milled. I have worn this many times all day long and each time it has kept the shine away. I am extremely oily on my nose and chin but this did really keep me matte. When I wear fuller coverage foundations I make sure to remove my makeup with a cleanser. Overall for £5.99 it is the highest coverage drugstore foundation there is. You can buy the Rimmel Stay Matte Foundation from Boots online or in store. Pink blush is my go to. Pink shades go with everything and they suit all skin tones. If you looked through my collection at least 90% of them will be some sort of pink shade. I have tried many brands when it comes to blush but these are just some of my most used shades. I bought this from the Sleek website but I know you can buy these elsewhere on the internet too. I like the idea there is 2 x powder blushes and 1 cream blush. They are such pretty colours. So cheap yet so pretty. 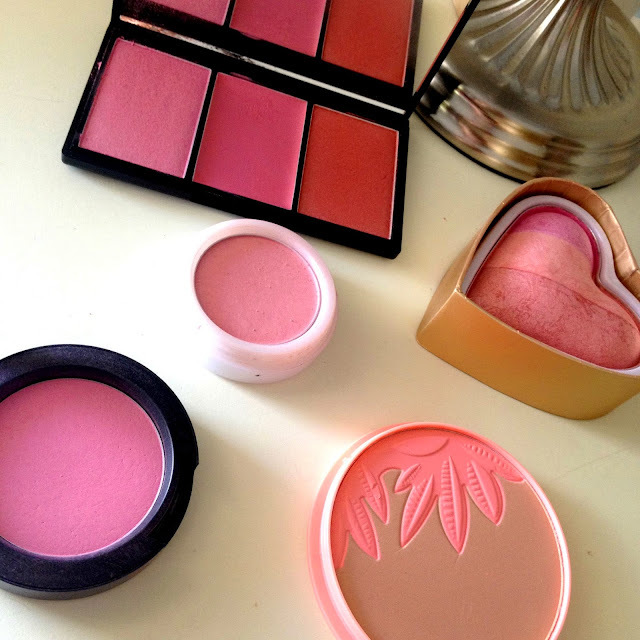 For £1.99 these blushes are so pigmented and so worth the money. I have so many of these in so many shades. I bought this blush from the Makeup Revolution website as it looks so similar to the Too Faced Blush. The 3 shades together work perfectly and give your makeup a gorgeous glow. I actually bought this more for the bronzer than the blush as iv found it so hard to find a bronzer without shimmer in it! I don’t want a glittery face!! So when I used the blush I was quite surprised as it gives a nice subtle colour to your cheeks. I recently went into Selfridges and wanted a new mac blusher. I told the women on the counter I like pink shades that aren’t in your face and she gave me this one. Its stunning! Hello you beautiful lot, well today has been a lazy day for me. Sat and watched “Say yes to the dress” (love this show) with my mum and now had a relaxing bath and having a lazy evening in my pjs whilst the boyfriend is on the Xbox. Had a Chinese which I wish I didn't have, you know that feeling when you feel so sick and think why did I eat that? Eurgh! 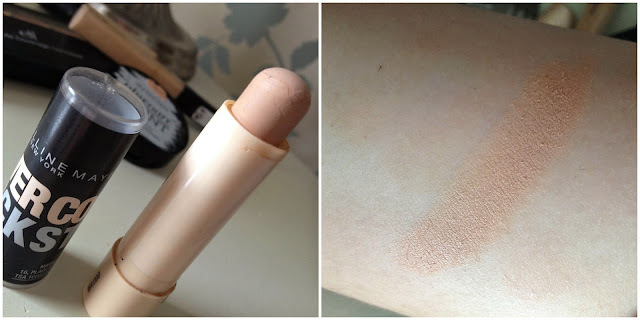 So today's post is “Concealer City”. 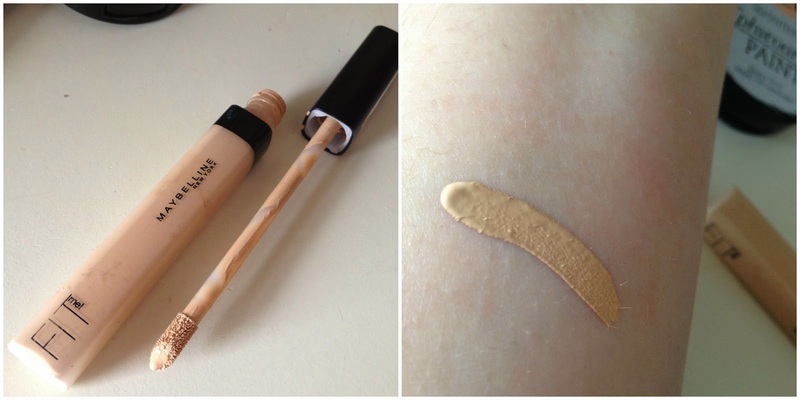 I love trying new concealer’s high street or high end. I usually use them for under my eyes then now and again on my odd blemishes that seem to come and go. Iv tried so many concealers which have just made me look worse. 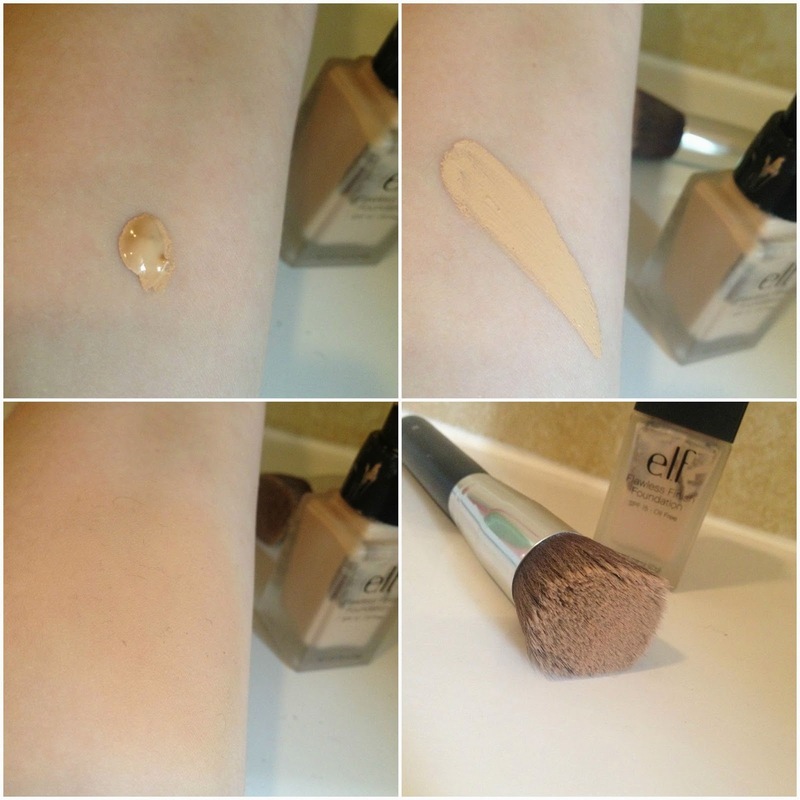 I thought I would review and swatch some of my most recent tried and tested concealers. When I go makeup shopping concealers aren’t the product I tend to look for. I do own way too much makeup as I do tend to buy products if they look nice or iv heard amazing reviews even if I already have a product that I love. Concealers are hard to get right. I find most either make my under eyes look worse or darker than they are or they look horrible once I apply powder. Here are some of my newbies and what I really think of them. I had never used a cover stick concealer before so thought I would give it a try as I do usually like Maybelline products. But I really dislike this concealer. I tried using it for both under my eyes and blemishes and found it went too dry on my skin and went cakey looking once I applied powder. I would not recommend this concealer at all! This is amazing!! As you can see it is a liquid concealer. I bought this in NW15 which is quite a light shade. I usually apply my concealer before my foundation as it seems to look better. So once I have applied my foundation you cant tell how light this is. Because I bought this in a lighter shade I also use this as a highlighter and it works wonders. So I got 2 in 1 which is a bonus. You only need the smallest amount as it spreads so well. The only downside to this product is the pump, even as slow as your press it you still get a little too much product. 9/10 because of the pump. I bought this in the shade “Medium” as I usually go for natural/beige tones. It is also a liquid concealer like the mac one above but it doesn’t work that well. I found it didn’t really help under my eyes but it did work better on blemishes. Boots do this in a range of 6 shades which I think is pretty good for a concealer. I bought this off the Elf website as I liked the idea of it having 4 different shades. I love Elf packaging it looks more expensive than it is. You also get a small brush. I do use this concealer to hide/cover my blemishes and when I have the odd breakout and it is amazing for the price. The texture is quite creamy which works well when I apply powder and doesn’t dry out. You can get this in 3 shades: Light, Medium and Dark. Simply amazing for a high street concealer. I wanted a high street concealer aswel as my mac one. The new Seventeen packaging is so pretty and stands out. You do need to run your finger in this concealer a few times just to warm it up then I apply it under my eyes. I use a brush to blend it in and I must say this is up there with the best! I will definitely buy this again. 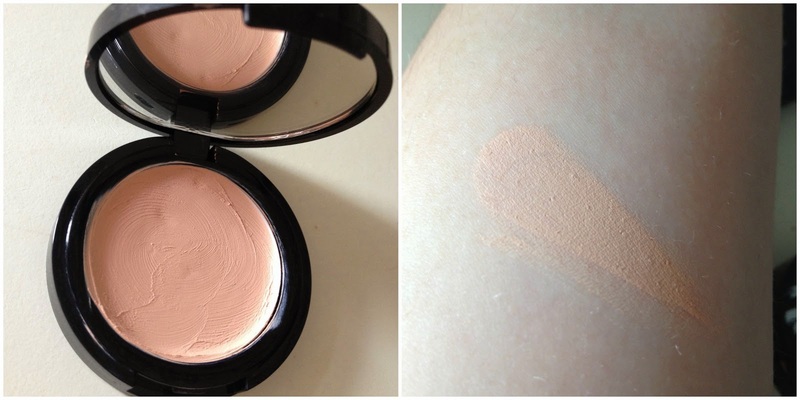 It is nice and creamy, doesn’t dry out and doesn’t look cakey once I apply powder. Overall my two favourites are Mac Pro Long ear Concealer and Seventeen Phwoarr Paint Concealer. 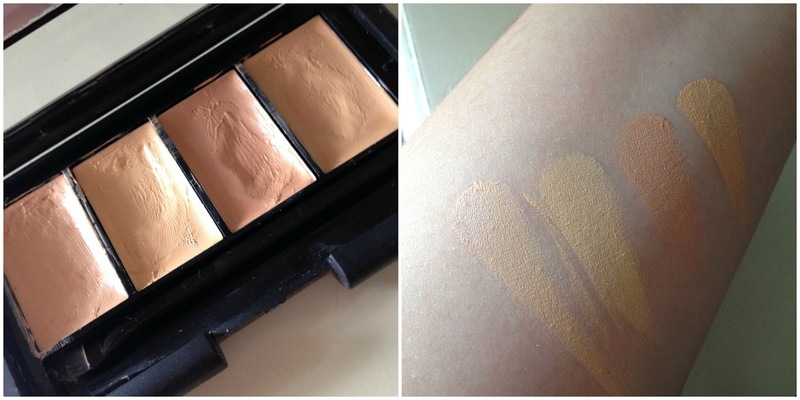 I would say the Elf Concealer palette is best for blemishes just because of the 4 different shades. So here we are again, this time iv decided each week I will be doing a “Brand of the Week” post. I like to try different brands even though I do have my go to products. Its always a good idea to try new things right? Well this week iv chosen Seventeen. These products I have had for a few weeks now and thought I would review them. So lets get to it! 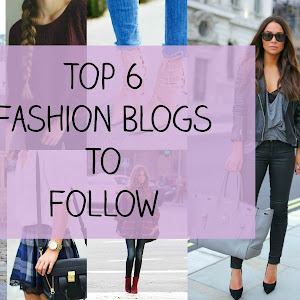 If you have seen my High Street Foundations post then you will know this is my new favourite. It is a full coverage foundation which is perfect. Once applied it doesn’t look heavy and leaves a nice finish. I ordered this product and didn’t really have high hopes for it. 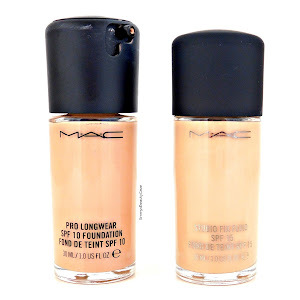 I usually use my mac pro longe wear concealer which I love but I wanted to find a high street concealer also. I haven't liked cream concealers in the past but this one has changed my mind. I'm amazed at how good this concealer is. You do have to rub your finger in it to warm it up then apply it, once on I blend it in using a brush or pat it in with my finger. It gives full coverage and doesn't feel heavy. It also works well on breakouts and blemishes. I haven’t tried a bb balm/cream before because I do like fuller coverage makeup. But it does say it can be worn on its own or under foundation. I bought this mainly because it says it clears your skin within 4 weeks and it has oil control. Anything that helps reduce or control oily skin is a bonus in my book. I do find when I apply this it does cover blemishes. My skin is slightly clearer but we will see after 4 weeks. Usually I like compact powders instead of loose ones. This one does set my makeup nicely and makes my skin look flawless. It does a good job at keeping me matte all day too. Overall I am loving Seventeen products at the moment. The main reason is that this brand is specifically for young skin and most of the products are oil free which is amazing.